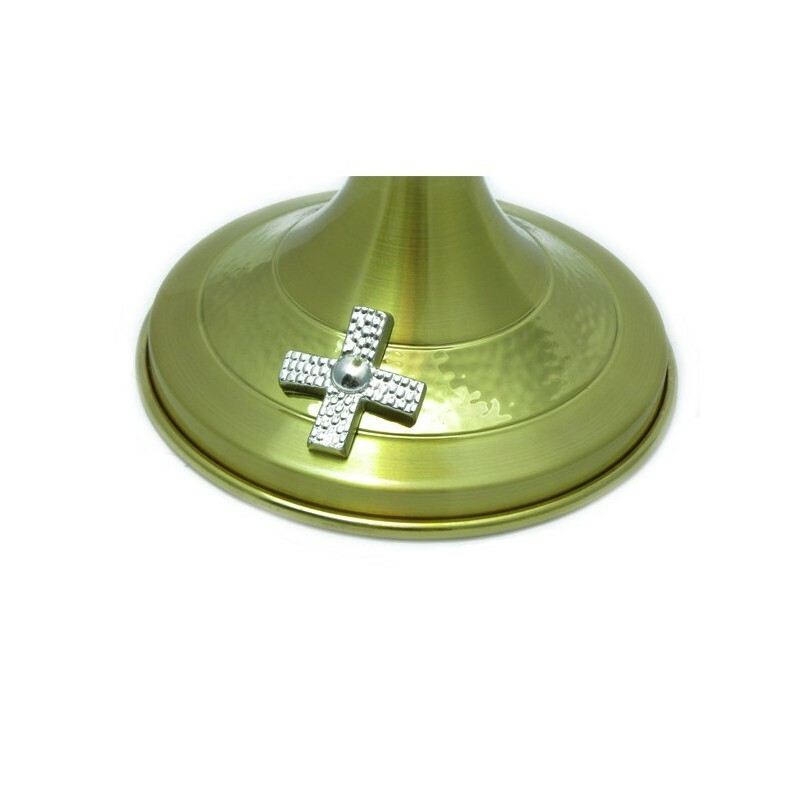 Hammered golden and glazed chalice with silver-plated cross. 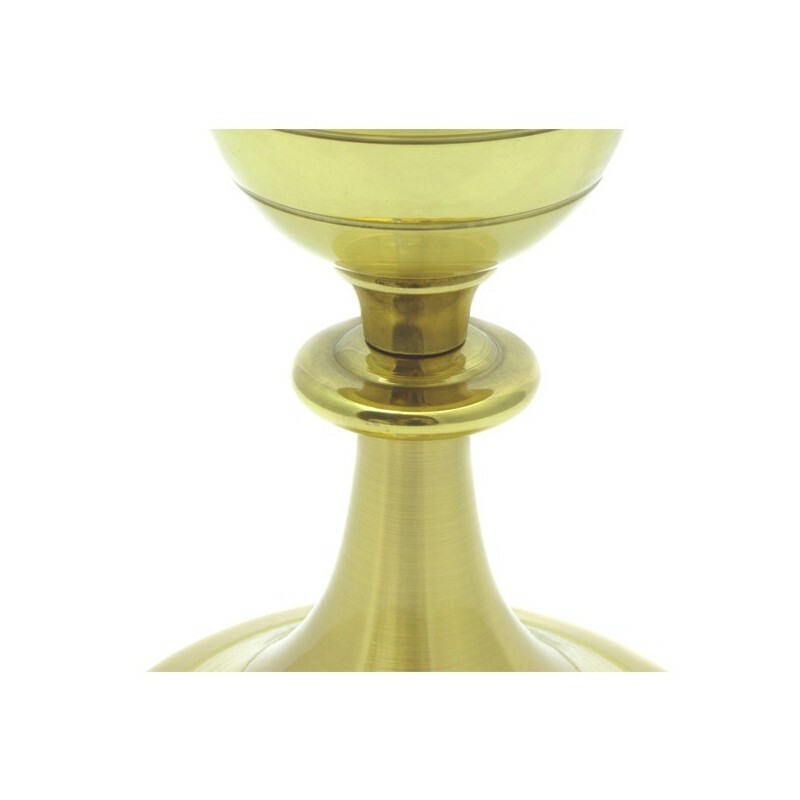 Hammered golden and glazed chalice with silver-plated cross. 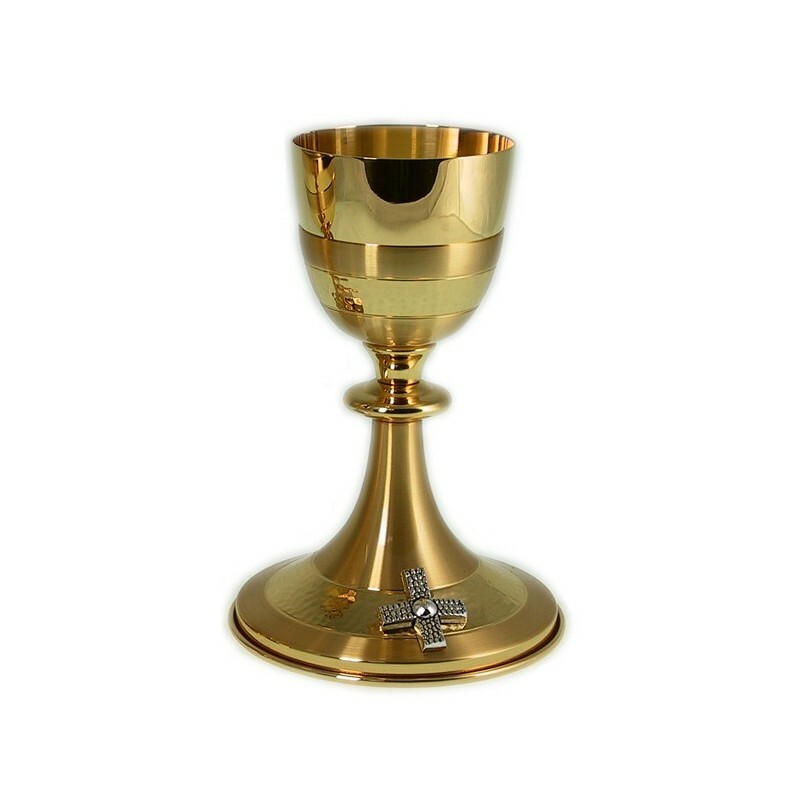 H. 21 cm, D. 13 cm.